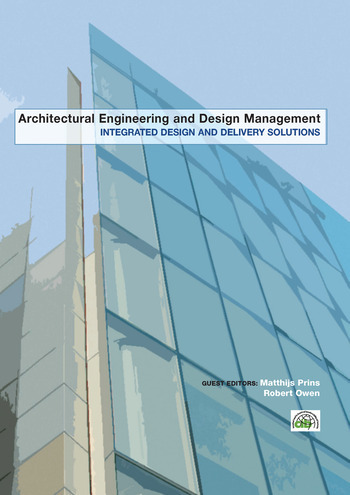 Integrated Design and Delivery Solutions (IDDS) represent a significant new research trajectory in the integration of architecture and construction through the rapid adoption of new processes. This book examines the ways in which collaboration and new methods of contracting and procurement enhance skills and improve processes in terms of lean and sustainable construction. Based on high quality research and practice-based examples that provide key insights into IDDS and its future potential, this book surveys the technologies that are being employed to create more sustainable buildings with added value for clients, stakeholders and society as whole. Matthijs Prins is Associate Professor of Design & Construction Management at Delft University of Technology in the Netherlands. Matthijs is joint coordinator of the CIB W096 commission on Architectural Management, member of the core group of the CIB IDDS Priority Theme, Director of MSc education of the department of RE&H, has an extensive list of academic and professional publications, and holds a range of advisory and board positions inside and out the academic world. Robert Owen is Senior Research Fellow at the Salford Centre for Research & Innovation in the Built & Human Environment, part of the University of Salford in the UK. Robert is Coordinator of the CIB IDDS Priority Theme; UK Government and international advisor on project, programme and portfolio management and Standards and researches and advises on process and systems improvement.